In the birthplace of England's greatest poet and playwright, the town is still an important market town in Warwickshire. Many of the original houses from Shakespeare's time are still in excellent condition, being preserved by the Shakespeare organisation. 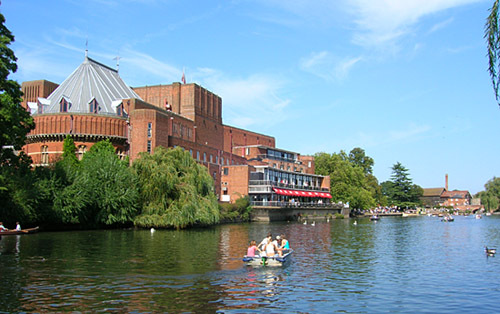 These fine old buildings, the characteristically wide streets and the tranquil flowing River Avon still make Stratford-upon-Avon a delight to visit. We really hope that this information will help you make the most of your visit to our beautiful town. Throughout these pages visitors and tourists alike, will find everything they need to know when planning their visit to Stratford-upon-Avon. If you follow the links to the Shakespeare Properties, you will see delightful watercolours of the houses. Many people come to Stratford for other reasons that those associated with Shakespeare. Take a look at the Romantic Stratford pages, where you will find recommended establishments that cater especially for those wanting a 'Romantic Break'. We have also provided a set of information to help those with disabilities to be able to plan their visit.